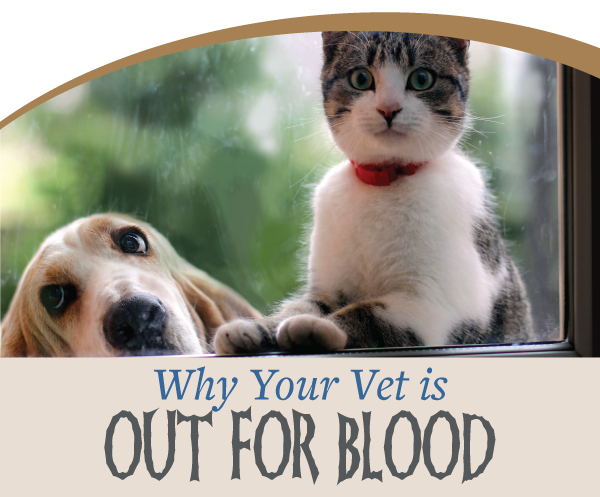 If you’ve ever brought your pet in for a routine check-up, chances are the veterinarian has wanted to start with blood work—also known as a blood screening or blood panel. That’s because just like in humans, the cells and chemicals present in your pet’s blood can give the doctor a wealth of clues about what’s happening in various organs of the body. Once a blood sample is drawn, veterinarians will usually request a Complete Blood Count (CBC) and then a chemistry panel specific to your pet’s needs, such as a liver panel, an electrolyte panel, a geriatric panel or a pre-surgical panel. The CBC is a snapshot of the red and white cells in your pet’s blood and can reveal many conditions, like whether he or she is anemic, dehydrated or has an active infection. A panel is comprised of several different tests and can give more specific information related to a diagnosis. These panels can also be helpful in determining the possible progression of a disease. Animals tend to be stoic when it comes to pain and are unable to verbalize their symptoms, so blood work is vital to determining a diagnosis and assessing your pet’s overall health—this is especially true for senior pets, who need extra care and attention. We want your pets to stay happy and healthy while also providing you the important information you need as a pet owner. For any questions or concerns relating to blood work, do not hesitate to contact us at 630-364-4250!